What do you think of when anyone mentions the word “meth?” It’s either the subject of a joke or a deathly serious topic of conversation. It depends on how you look at it. Thomas M. Siebel didn’t think it was very funny. When he became aware of the meth epidemic in rural Cascade County, Montana, he couldn’t ignore it. 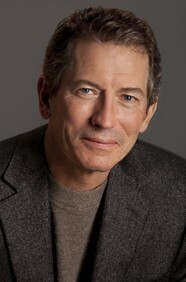 Siebel, the founder of Siebel Systems, started The Montana Meth Project in 2005 to combat the growing meth epidemic in the United States. What started out as a conversation with his friend, the county sheriff, turned into a successful program. Siebel found out that the 17 sheriffs of Cascade County, Montana spent virtually all their time busting methamphetamine labs. Mr. Siebel wanted to try a grand experiment, based on research, to attempt to prevent young people from ever trying meth. It has come a long way from that kernel of an idea. The Meth Project now operates in eight states: Arizona, Colorado, Georgia, Hawaii, Idaho, Illinois, Montana and Wyoming. It is headquartered in Missoula, Montana. The non-profit Meth Project uses public service messaging, public policy, mass advertising and community outreach to engage the world. In 2006, it received a White House commendation for most successful drug program. Sitting on several boards, Siebel also started the Siebel Scholars Foundation in 1996. The foundation works on such issues as supporting the homeless and underprivileged, educational and research programs, methamphetamine abuse prevention, and alternative energy solutions.